This is a reissue of the Stimer single coil pickup used by Django Reinhardt in the 1940s. It has the classic Django electric tone and is very resistant to feedback. Ideal for those who need to play at very high volume levels. Sounds fantastic through nearly any amp or PA.
No installation is required. 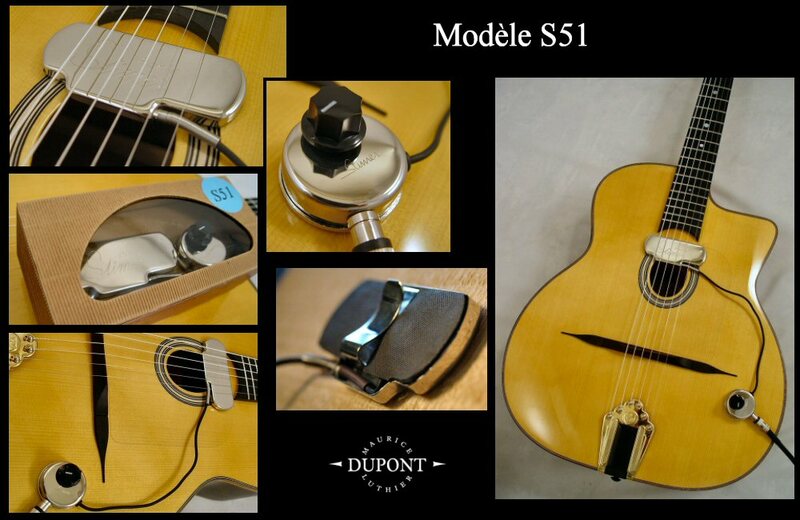 The soundhole clip will secure the pickup without any additional modifications. Some people also use some Schertler adhesive putty to keep the pickup secure. This version includes a separate volume pot that is mounted with some finish friendly, reuseable putty. Many find that a right angle cable is more comfortable and prevents the pickup from getting knocked out of place.